Oh man. I promised you more kale chip recipes before the end of the year and here we are. 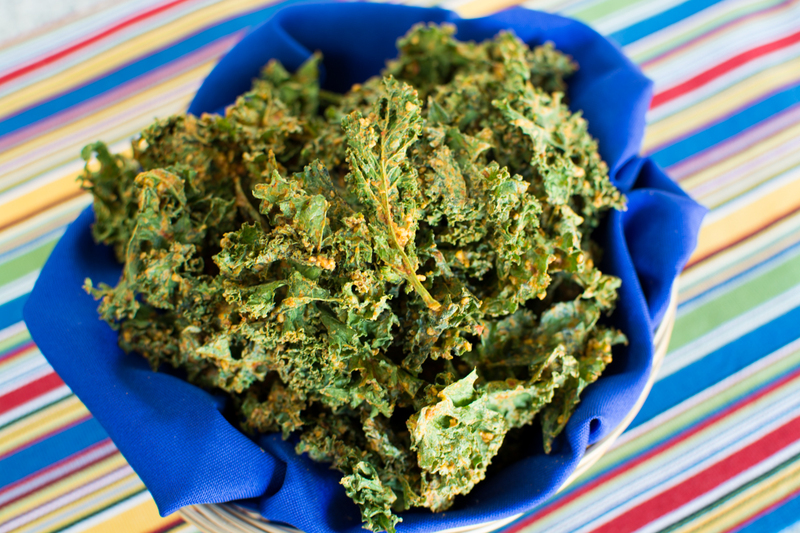 Today’s kale chip recipe is my favorite out of the three that went up recently (BBQ & Onion). They capitalize on the taco-dorito flavor and are sure to satisfy the serious snacker within. 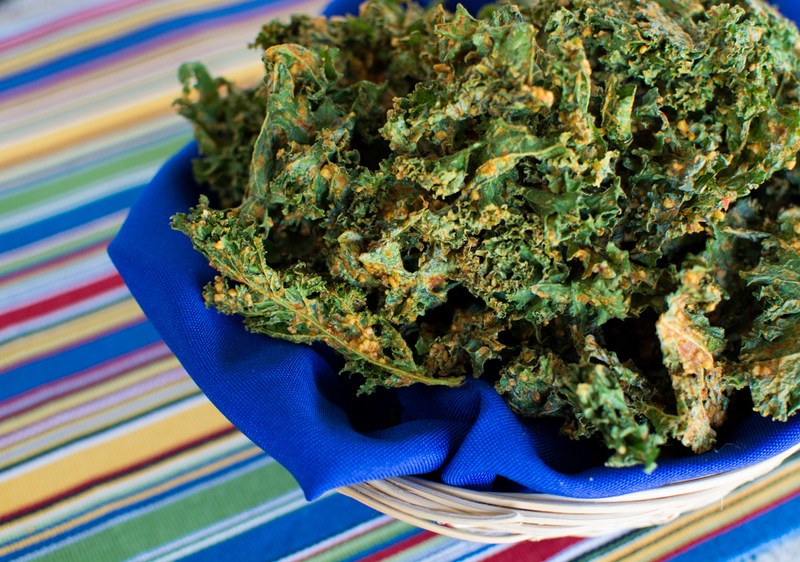 The hardest thing about kale chips is waiting for them to dehydrate. 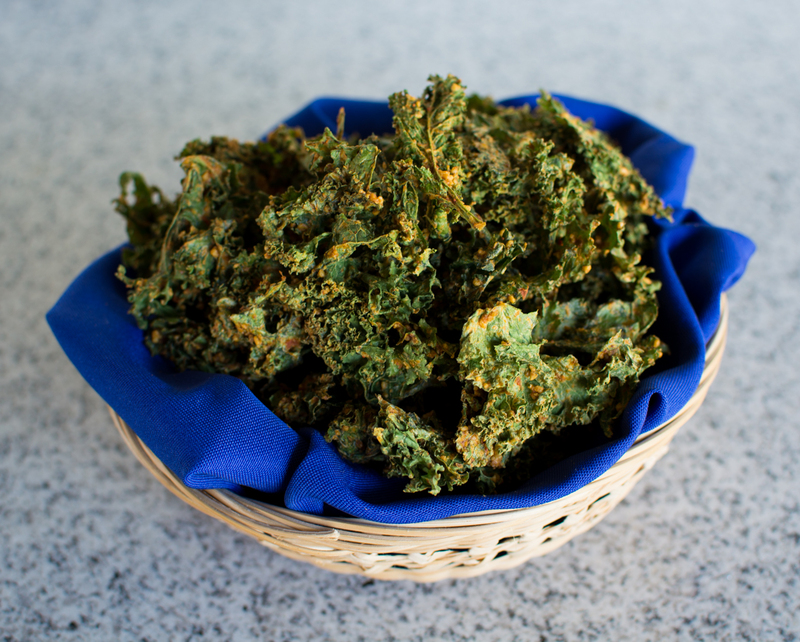 The best part about kale chips is sneaking bites when you put them on the dehydrator tray, a taste test 2 hours in, another taste test near the end, and finally an every other chip bite as you transfer them from tray to storage. Addicting. I tried a few of these kale recipes in the oven but haven’t had any luck so far. I’m wondering if oven kale chips can’t handle the thicker coating? What do you think? Jeremy was pretty out of control with these. I begged him not to break into the container until I was able to photograph them the next day. You would have thought I asked him to lift a semi-truck with each hand, but he abstained. Thank you J! 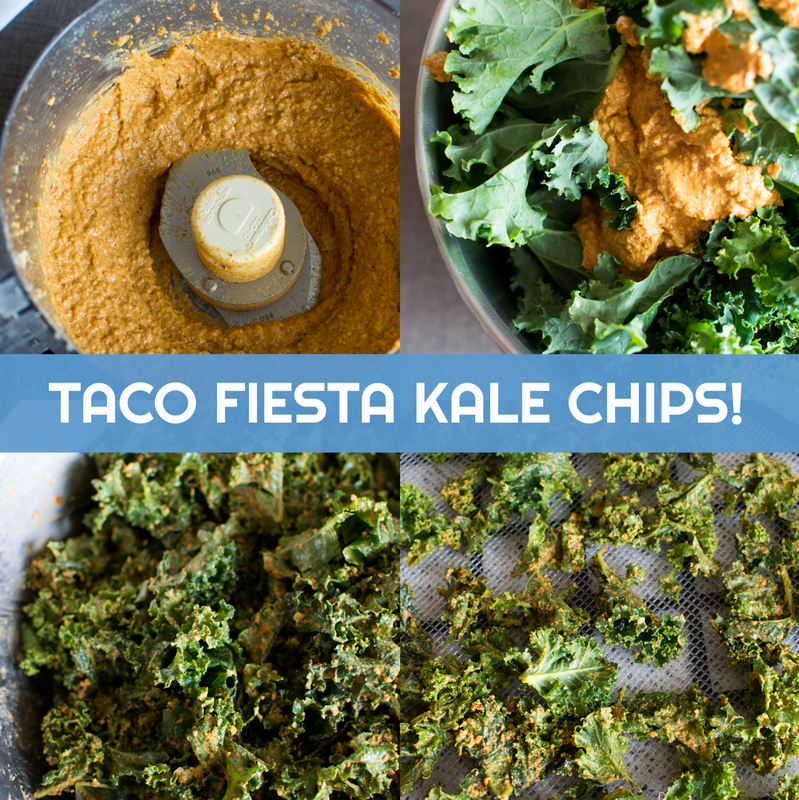 Taco Fiesta Kale Chip Recipe! Place washed and de-stemmed kale in 1 or 2 large mixing bowls. Finely grind sunflower seeds in a food processor or high-speed blender. Add remaining ingredients (nutritional yeast, tamari, yellow mustard, chili powder, garlic powder, oregano, cumin, lemon juice, onion, and tomato). Blend or process until smooth, scraping down the sides if needed. Pour over kale, and massage into kale using hands or tongs until all the leaves are coated with mixture. Spread out on dehydrator trays with the mesh sheet (no teflexx sheet required - about 3-4 trays) and dehydrate at 115F for 6-8 hours or until dry. Store in mason jars or plastic containers. Skip dehydrating and eat this as a salad. Store the sauce and kale in separate containers and mix together as needed.